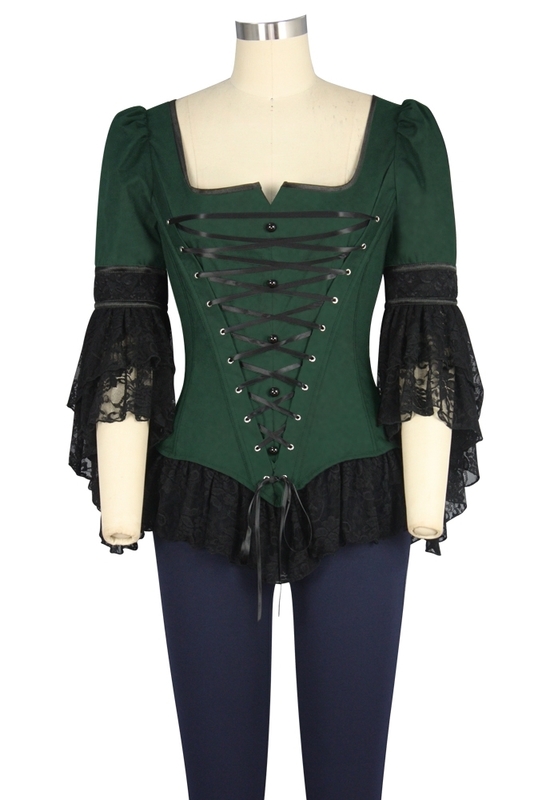 This top features corset lacing and decorative buttons down the front, boned piping down the front and back. Laced sleeves and bottom hem. Removable lace tab at back. Center back zip. Standard size approx. length: 26 inches; Plus size approx. length: 28 inches.